One of the great gifts in my career was to work with three consultants (trustees/parents) from the Monitor Company, a strategic consulting firm started by Michael Porter, perhaps the leading expert on strategy in the world, and a Professor at Harvard Business School. These consultants gave me the framework to think more deeply about strategic marketing. More often than not, they refused to give answers; they just asked questions until my team and I figured out the answers. They forced us to use data to puncture school myths we assumed were true, and I quickly learned that telling the truth about your school is not easy, but necessary to bring about significant change. The on-the-job training led to results I could never have imagined. When I arrived at the School in 1997, it had 250 applicants with an admit rate in the high 60’s. When I left in 2014, the School had well over 500 applicants with an admit rate in the mid-30’s. During that same time the School grew from 317 to 490 students. There were a lot of people who played significant roles in the School’s success: teachers, trustees and administrators. But behind the scenes were the three HBS-trained consultants leading us down roads we never imagined. When Roger Martin, a former Monitor consultant, teamed up with A.G. Lafley to write Playing to Win, I was excited to see much of what I had learned over a nine-year period distilled and explained. It became clear to me after reading the book why there is nothing strategic about many independent school strategic plans, why so many of them look the same, and even why some fail. Martin and Lafley identify five critical questions that make up effective strategic thinking and planning, but they are quick to point out that one cannot look at each question in isolation. There are critical links that must be identified even as one is struggling with the many sub-questions involved in examining just one of the five questions. What is your winning aspiration? Yes, heads of school, this is the vision thing. But what makes it different from school visions of yesteryear is the word “winning.” It is true that strategic planning has to help the school do a better job of living its mission, but that’s not enough. The school’s position in the marketplace has to be improved as a result of a successful strategic plan. Likewise, the school’s capabilities to better fulfill its mission have to be strengthened as a result of a strategic plan. “Winning” means creating value and feeding capabilities that are critical to the school’s on-going success. Where will you play? With this question strategic thinking becomes more difficult. The nature of your “winning aspiration” has to fit with the market you are trying to capture and this, in turn, means making choices. Once a school starts asking itself where it wants to play, the leadership quickly realizes the implications. They realize the need to allocate resources to achieve the winning aspiration, but the political landscape of most schools may make this choice difficult. “How can we possibly give up this program? We’ve had it for years.” One of the reasons independent school strategic plans are so similar is that they go to great lengths to avoid making difficult choices and thus, upsetting stakeholders. How will you win? Notice again that it is impossible to answer this question with any degree of confidence unless you consider the answers to the first two questions, not to mention Questions 4 and 5. The development of strategy is linked to your winning aspiration in very specific ways. Get your vision right and strategy will follow in a logical way. Sadly, strategy in most independent schools is code for expanding programs and adding buildings. My question to these schools- “So what?” Does your plan help your school achieve the winning aspiration and does your school have the capabilities and structures to execute the plan? What capabilities are needed? There are lots of reasons why strategic plans collect dust on shelves, but I think one of the most prevalent is that Boards and Heads never consider what is needed to achieve the goals. All schools have assets. Identifying those assets is critical in strategic thinking, but it’s not enough. The leadership has to determine if these assets can be leveraged to help the school achieve its goals. Again, rushing to a “winning aspiration” without considering capabilities is a prescription for failure. What management structures are needed? The question sounds like it should be an afterthought, right? Not so fast. Schools have distinct cultures. Power is diffused. The 25-year veteran third grade teacher has many ties to powerful trustees and alums. The old guard in the high school responds to every new idea with, “But we’ve always done it this way.” Salary systems don’t reward excellence in many independent schools. The list goes on and on. One of the reasons independent school leadership avoids choices is that the nature of the beast is often quite political. Moreover, management structures are put in place without regard to the goals the school is trying to achieve. Strategic planning—done right—is hard. 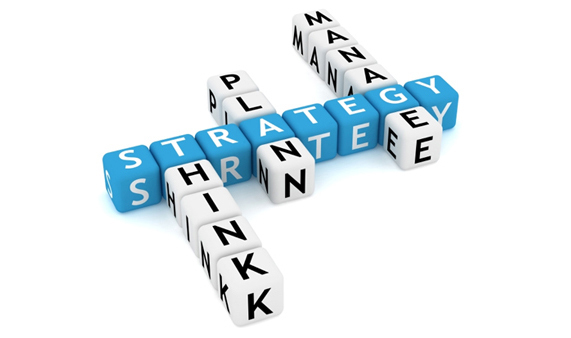 Most schools have strategic plans, but there is very little strategic thinking behind them. Choices are avoided, and “keeping up with other independent schools” is the driving motivation. It’s as if these schools only gravitate to the “Threats” part of the SWOT analysis. However difficult, heads and trustees must embrace real strategic thinking, the kind of framework outlined above if their schools are to thrive in the future. The framework in Playing to Win is a great place to start. A pinch of courage can also help.